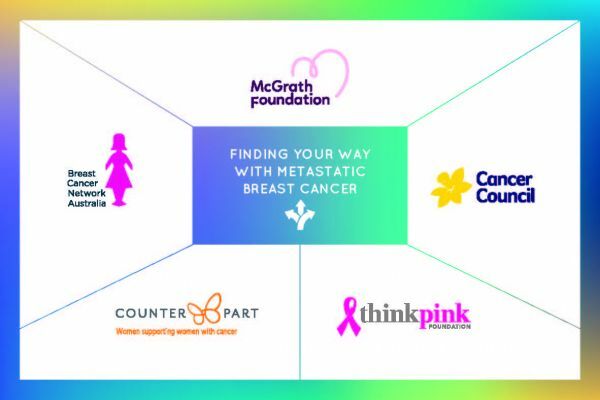 The Signpost resource provides people with metastatic breast cancer with links to useful, accessible and reliable information and support services in Australia. Many services and resources are available for people with metastatic breast cancer, including counselling, financial and legal support, peer support, and support for those close to you. 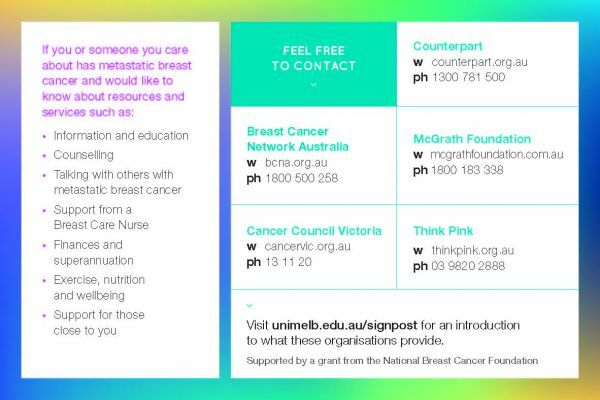 If you or someone you care about has metastatic breast cancer and would like to know about resources and services, please download and use the Signpost resource below for details. 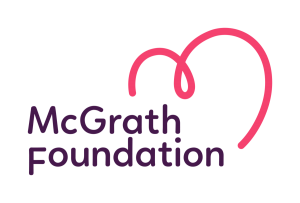 The National Breast Cancer Foundation funded a two-phase study to improve supportive care resources for women with metastatic breast cancer. A key finding from Phase 1 of the study was that women found it difficult to learn about, find and access information that is important and relevant to them. Phase 1 findings also taught us that people want to know how and where to find information when they want and need it. In response to this, Phase 2 of the study, we developed a resource to help women access quality, relevant information that is helpful to them. Women can then determine if, when, and how they would like to access supportive care resources irrespective of where they are along their metastatic breast cancer path. 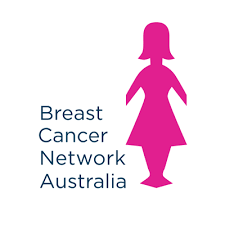 Signpost is a research-based and collaborative effort developed by the Cancer Nursing Research Group, University of Melbourne, co-designed by women with metastatic breast cancer. It aims to assist in enhancing the experience and outcomes of people affected by cancer, through providing a pathway to efficient and targeted resources and services. This project is supported by a grant from the National Breast Cancer Foundation. If you would like to know more about the study or other health services research please contact the Cancer Nursing Research Group, at the University of Melbourne - a member of the University of Melbourne Centre for Cancer Research.